The Summer of 2016 is giving you a nice opportunity to watch Takeshi Kaneshiro in collaboration with CITIZEN once again with the new men's watches CM which is announced on the official CITIZEN facebook page a few hours ago. Just as like as the making of the CM. With a bit being late and in the new (2015) year we present the new Takeshi Kaneshiro CM made for the CITIZEN to outline the new products. This video appeared on October 2014. EVA Arir has released the 3 minutes CM for the I SEE YOU with Tkaeshi Kaneshiro and greeted everyone with a happy new year. That ad was broadcasted on ctitv.com.tw for everyone to have possibility to make the countdown for the New Year together with it. Also there are some fresh photos for the project called "Taveller Album". After the Eva Air CM was shot and the photos appeared, there are talks on the Takeshi Kaneshiro's weight gain appeared. Photos that are published in the media show really good looking 39-years old man, mature and handsome for his age - including the shape. Never the less, some people tend to find this look agy and with a considerable weight gain. 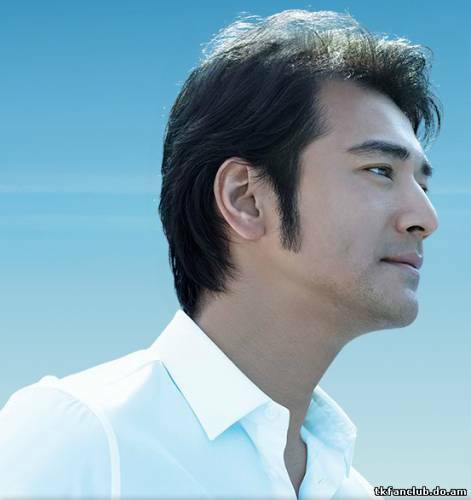 As Takeshi Kaneshiro's manager said: "The body condition is naturally different as we age. You can’t expect him to maintain his 20-year-old condition forever,” she commented and also revealed that the actor will begin filming for Hong Kong director John Woo’s new film, The Crossing, next month. The Crossing also features Chinese stars Huang Xiao Ming, Zhang Ziyi and Korean actress Song Hye-kyo. Today is the day when you can really enjoy the full CM fo the Eva Air I see you. As the comment to the CM says: "Now, with Takeshi Kanashiro, Eva Air invites you to broaden your eyesight and experience the world!" Until the July 15 2013, you can visit Eva Air Website to share travel photos and "Kaneshiro Traveler Album"
Please, enjoy that and the videos of the other languages visiting the page of Eva Air on youtube.com! I See You: Press conference highlights (I SEE YOU 記者會花絮) photos appeared on the official page of EVA Airways Corp. 長榮航空 at facebook.com (you can also watch them here).